Ibrahim has twenty years of acting behind him. In 2001, he won his first lead role in "FAIS MOI DES VACANCES" by Didier Bivel and decided to drop out of school to fully turn toward shootings that don't stop coming at him. 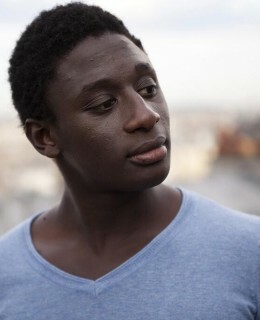 His part in "LA CITE ROSE" by Julien Abraham is what makes him pre-nominated for the Best Young actor in the Cesar 2014. With "WULU" by Daouda Coulibaly, he plays remarquably the role of Ladji, a yound deprived malian who ascend quickly in the criminal world.